Fabulous news for all those drag lovers who take their life bohemian style: Valentina just scored a major role in Fox’s production of Rent Live, not to mention the already-filmed but still hush-hush Drag Race All Stars season 4. 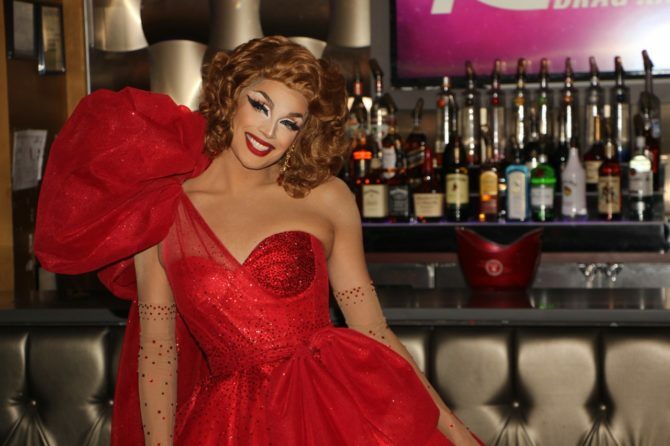 Valentina first rose to fame as a contestant on the ninth season of RuPaul’s Drag Race where she infamously wore a face mask during a lip sync challenge to cover her own ignorance of the lyrics. She became a viral sensation over the move, even if it got her eliminated from the show. Fox has announced Valentina will take on the coveted role of Angel in Rent, a part first created on stage and film by Wilson Jermane Heredia, who won a Tony for his performance. In the story, the drag queen Angel aspires to hit the big time as a musician or designer, even while dying of AIDS. The cast of Rent will also include Tinashe as Mimi, Brennin Hunt as Roger, Jordan Fisher as Mark, and Vanessa Hudgens as Maureen, Brandon Victor Dixon as Angel’s boyfriend Tom Collins and Kiersey Clemons as Joanne. The production will air January 27. Production company World of Wonder had yet to release a full cast roster (though Reddit has her listed as a likely candidate), meaning Fox jumped the gun with their announcement. Since Fox has yet to issue a retraction, and since World of Wonder has yet to deny the claim, we’re betting Valentina will make a return to the runway when the show debuts next year. Fellow Drag Race alum Willam leaked some similar intel over the summer, even going so far as to say that Ru saves Valentina from elimination. Regardless, when she appears in Rent, we hope Valentina leaves the face mask at home. NOT a major spoiler. The whole cast has been spoiled by social media and websites. INCLUDING QUEERTY. Y’all posted a couple stories about the whole cast. Someone call out Fox for referring to Valentina as HE. Where is GLAAD? Valentina IS a he. A cisgender male as a drag queen, he or she is fine. Rent is the stupidest musical I’ve ever seen. If it wasn’t gay it would be irrelevant.